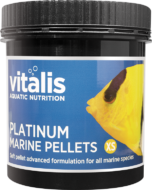 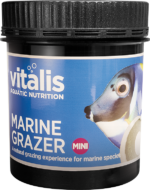 Vitalis Mini MarineGrazer™ is a unique feeding system for all marine grazing species, with its unique suction fixing generating natural feeding behaviour and giving the home aquarist enhanced viewing of their fish grazing. 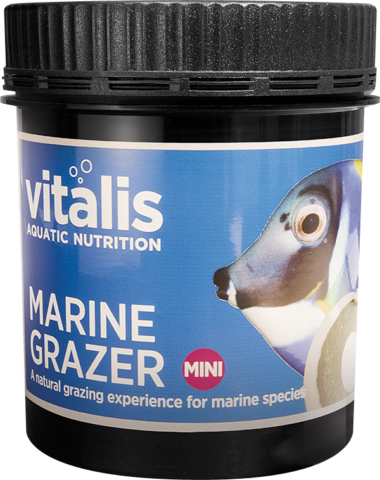 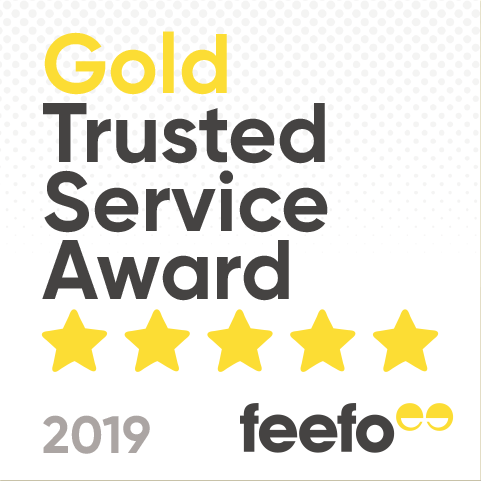 Encompassing all the nutritional requirements of marine grazing fish in a highly stable feeding ring which reduces waste, our grazing diet encourages you fish to exhibit natural feeding behaviors and allows you to witness your fish feeding as they would in the wild. 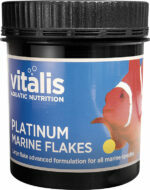 Fish and Fish Derivatives, Algae, Derivatives of Vegetable Fat, Molluscs and Crustaceans, Minerals. 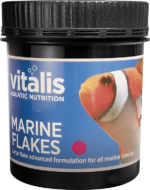 Protein 33%, Moisture 20%, Inorganic Matter 15.4%, Fat Contents 9%, Crude Fibre 1%. 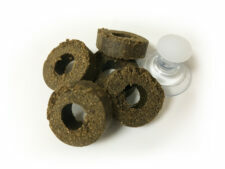 Since 2013 the grazing ring size has been modified. 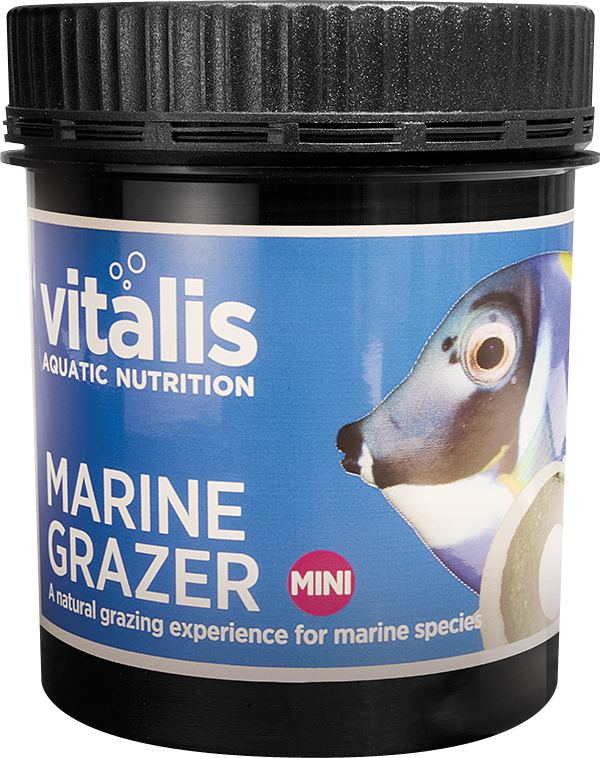 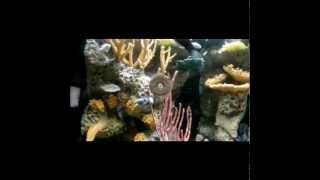 The new optimised smaller size is now better suited to the typical aquarist's tank size and number of fishes kept. 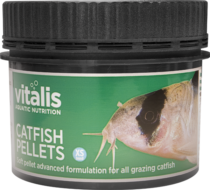 This will ensure more efficient feeding and less wastage.